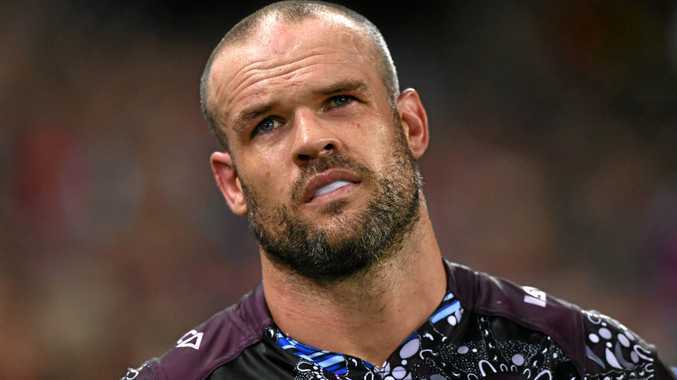 THE Melbourne Storm has bolstered its depleted forward pack, with NRL veteran Nate Myles signing for the rest of the season. The NRL ticked off on the deal yesterday morning, allowing Myles, 31, to join the Storm immediately. But an elbow injury is set to rule him out of a debut against North Queensland on Saturday at AAMI Park. Myles (pictured) has played 230 games at the Titans, Bulldogs, Roosters and Sea Eagles. A 32-game veteran for Queensland, Myles was on Monday dropped from the Maroons side for Origin II. His signature is a shot in the arm for the Storm, which will be without big men Jordan McLean (fractured jaw) and Tim Glasby (Origin) this week. Storm lock Dale Finucane declared Myles a "great acquisition”, who brings a wealth of experience and depth. "He's quite an old school-style player, just that run hard, tackle hard mentality ... he's quite a tough opponent to come up against,” he said.